“Finding ways to live more sustainably is crucial if we want to fight the effects of climate change and protect the environment for the future.” Peter Tagliaferri, Mayor City of Fremantle, Western Australia, 2001-2009. Q: Peter, what were your initial thoughts when you met with inventor Graeme Attey and heard about Windpods? A: Well it was fantastic to see an invention that addressed sustainability and energy issues, using a resource Fremantle has plenty of: wind. 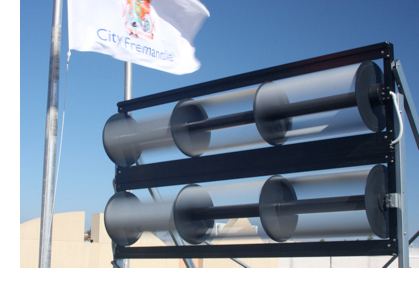 Thanks to the Fremantle Doctor we have a major reliable renewable energy resource. Also the fact it was invented right here in Fremantle made it even more important we support it and give it every opportunity. Sustainable solutions are critically important. Q: Council seemed to be advocates of renewable energy generally. Installation of renewables is now easier in Fremantle? A; Yes, we removed the need for Council Approval for many forms of residential renewable energy installation to encourage and simplify the process. Of course there are some conditions, for example on size and heritage listed houses however the process is now much more streamlined for most installations. Q: Do you personally utilise any renewable resources? A: Yes, I have over 3kW of solar panels on my roof at home, and looking forward to the consumer release in 2010 of Windpods! 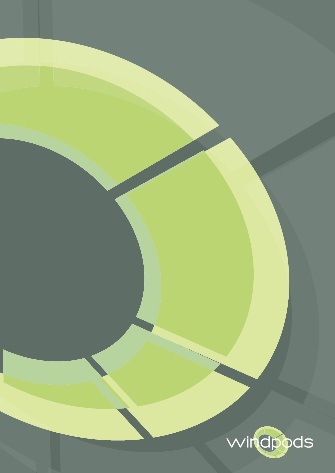 Q: Having seen Windpods from inception through to commercialisation, what are your thoughts about its potential? A: It has huge potential, and not just here but around the world. Every country is facing the same issues on a sustainable future and Windpods is a great step to finding workable solutions. I’m sure it will be a great success and to have witnessed the concept become a commercial reality right here in Fremantle, from the ground up has been very rewarding. 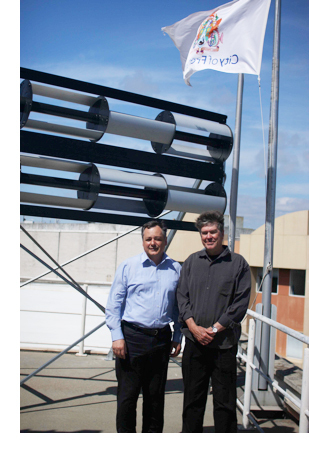 (Above: Peter Tagliaferri and Graeme Attey pictured with Fremantle Council’s 1kW Windpods installation). Windpods are a new breakthrough wind turbine technology. Just 4 units have a capacity of 2kW, and can provide up to 50% of a family home’s energy needs. Traditional windmill style turbines have been unable to find success in residential environments due to high noise and vibration issues. Windpods patented “blades” and “deflector” technologies practically eliminates noise and vibration problems and make installations in built-up environments more practical. The unique aerodynamic configuration also allows Windpods to spin faster than the prevailing wind speed and produce power with high efficiency. Whilst designed in a slim-line horizontal configuration for domestic use, Windpods can be installed vertically and even on angles. This provides architects with the opportunity to design Windpods into buildings, walls, bridges and landscaping to create interesting applications specific to their aesthetic requirements. The residential systems will retail at $4500 per 1kW plus installation. Installation of Windpods is similar to solar PV, requiring an inverter and cabling to return energy to the grid. Installation is estimated at $3000 per 1kW or around $7500 per 1kW fully installed. Consumers may also apply for RECS rebates saving a further $1500-$2000. Further announcements on the availability of domestic units will be made ahead of the planned mid 2010 release including information regarding hybrid installations of both Windpods and solar PV.